Posted on July 29, 2011, in The Internet is a Social Movement and tagged avatar: the last airbender, book blogger hop, book review, graphic novel, teevee. Bookmark the permalink. 10 Comments. “The Husband” here from Hippies, Beauty, and Books. I’ll have to pick this up for my wife. She is a Manga fan. She doesn’t like anime as much though. That’s all on me. New follower by the way. Hi, and welcome to the party! 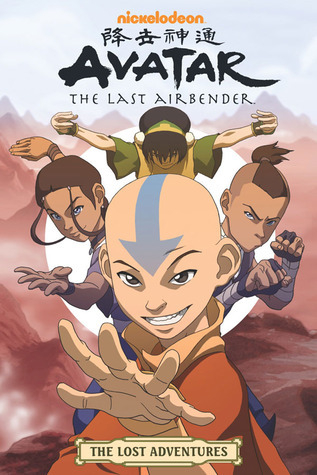 I love Avatar, it’s a great series even for people who don’t like anime — you might want to give it a try. Ha! My sis loved the tv series, she’d probably die if she knew there was a comic! Hi, and welcome to the blog! This looks cool! Hope you enjoyed your visit to Chicago! I did! Chicago is always awesome. Just hopping through. I’m a new follower from the Blog Hop.